• What if you want to use your Gmail account yet send and receive email with this address? Check "Always use a secure connection(SSL) when sending mail." On the main page after you login to your account, click on Forwarding Options. Type in your Gmail address. 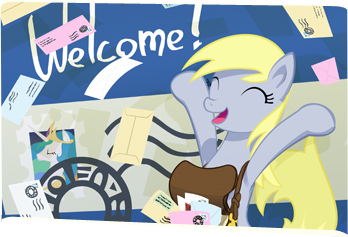 Now all the emails received by your Derpymail account will be forwarded to this email.